NEW YORK (AP) — In a defensive crouch, Donald Trump complained Monday about being “viciously attacked” by the father of a decorated Muslim Army captain killed in Iraq, persisting in an emotionally charged feud that has left him increasingly isolated among fellow Republicans. Trump broke a… READ MORE. Ahead of the second anniversary of the fatal police shooting of an unarmed black teenager in Ferguson, Missouri, that touched off a wave of protests nationwide, a coalition of more than 60 organizations affiliated with the Black Lives Matter movement has issued a list of demands calling for policing… READ MORE. Glenn Beck’s Mercury Radio Arts has filed a lawsuit against TheBlaze’s former CEO Chris Balfe, accusing him of breach of contract, general mismanagement and breach of fiduciary duty. 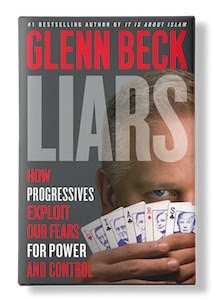 Mercury Radio Arts, Beck’s production company, is the majority shareholder in TheBlaze. On Monday, Beck issued a brief… READ MORE. WHY DO WE ACCEPT THE LIES? Available in bookstores Tomorrow! Body of Russian pilot is dragged through the dirt and stamped on after helicopter is shot down by Syrian rebels – but why does ID card found in wreckage show a blonde woman?